Many consumers think "going solar" is a move prompted by environmental concerns. For Steve Seifert, owner of the Inn, it was simple economics. "It has been truly impressive," Seifert says. "We're nearly five years into the system and now all our savings are cash savings." 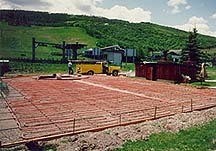 The before and after pictures of the Inn at Aspen's pool area. 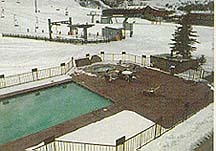 The Inn at Aspen has a 66,000-gallon swimming pool and a 3,000 square foot area around the swimming pool which has a snow-melt solar system. Heating the pool to at least 88 degree and higher and heating the snow-melt area, they're using a heating system that gets 30 percent of its power from a conventional natural gas boiler, and the remaining 70 percent from three solar arrays located on the roof of the hotel. "If we try to do more than that (30-70 ratio) on the solar end of things the systems get so large that during non-heating or non-snow-melt months they're just overkill," Tierney says. 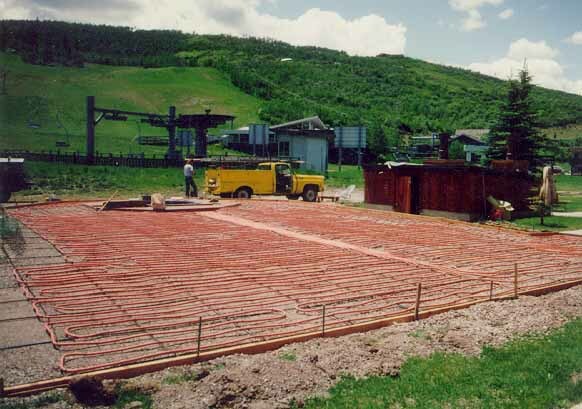 With the system that Aspen Solar Systems installed, snow is melted regardless of the intensity, temperature or wind speed. And Aspen averages 250 inches of snow a year! The boiler is bypassed until all the solar energy potential is exhausted, then kicks in for backup. And how has the system been performing the past four years? "Fantastic," Seifert says. The energy cost for the pool and snow melt is significantly less than that of heating the pool alone!